These newborn baby mittens are just too cute! These adorable and soft little mitts are made to fit snug. They are free from any uncomfortable elastic though. 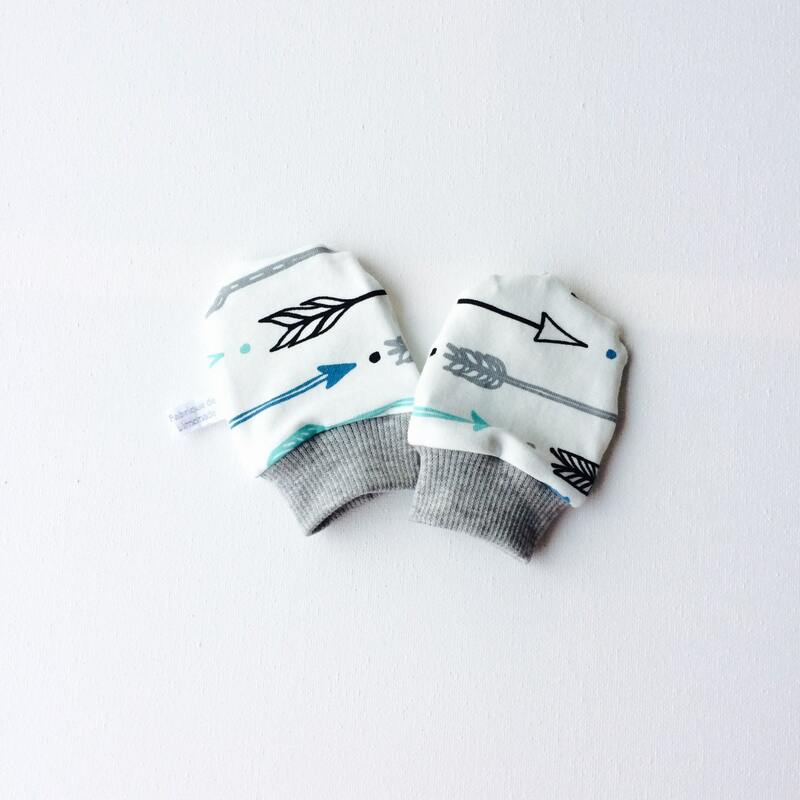 They are made from white cotton knit, featuring arrows in gray, black, green, and blue. They have comfortable gray cuffs.